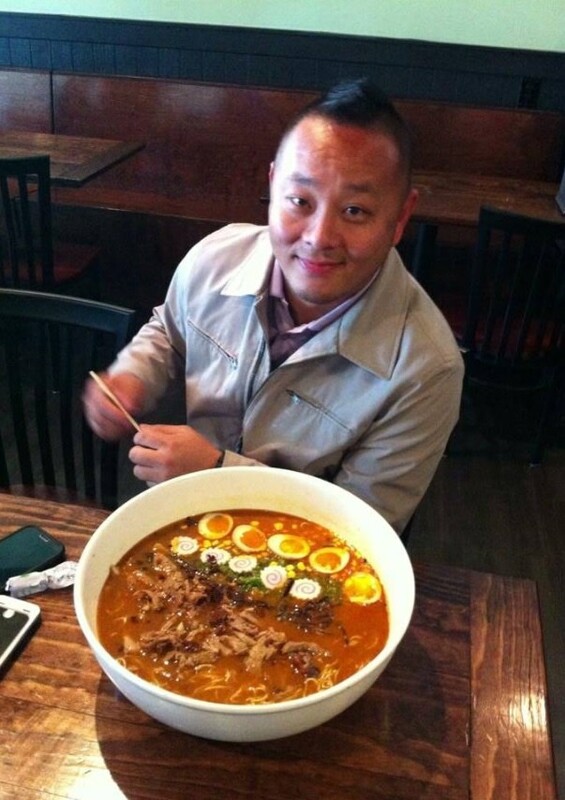 A hungry contender at Fat Bao Sugar Land shows off the size of the restaurant's Ramen Challenge bowl. Just like 40 is the new 30 and orange is the new black, bao is the new bun; you heard it here first. Chinese steamed buns—and the deliciousness tucked inside them, whether peppered tuna or braised pork belly—have been all the craze this past year. With the opening of fast-casual cafe Fat Bao in both Upper Kirby and Sugar Land, the popularity of these loaded steamed buns has reached new heights. As eager diners stroll in for lunch, dinner,and all of the snacking hours in between, the high demand of these delicious mini-sandwiches almost overshadows the fact that Fat Bao is also a great place to feed your ramen cravings. 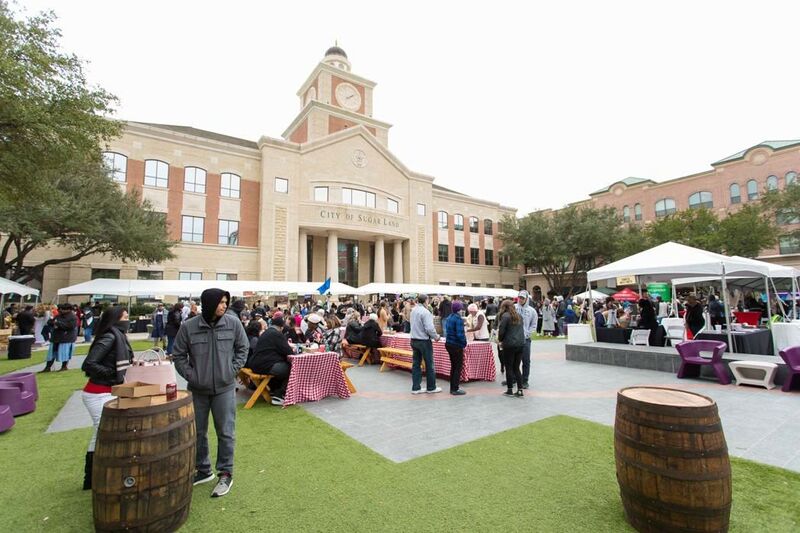 The Upper Kirby location offers ramen on Monday and Tuesday evenings, but it's the much larger Sugar Land spot that's the real ramen destination of the two, featuring a long list of noodle options on the menu daily. The traditional tonkotsu with pork belly, egg, fish cake and bamboo is an ideal choice for "ramen beginners," while the spicy green curry with ground pork, egg and black fungus (a.k.a. dried wood ear mushrooms) in a rich, spicy broth is a considerable jump ahead on the ramen curve. As someone who takes pride in hunting down extreme dishes for Houstonia readers, I can honestly say I never met a sky-high burger or triple-stuffed deep dish pizza I didn't love. And as someone who can typically hold her own when it comes to extreme eating, I regret to say this is the bowl of ramen that defeated me. For $45, Fat Bao invites courageous eaters to partake in its Ramen Challenge, which is offered daily. Think Man vs. Food: ramen edition. Unlike the LA Crawfish pho challenge, you don't have to call ahead to Fat Bao to let them know you're coming in to take the challenge, though I'd recommend letting them know in advance to ensure they have the ramen flabor you're about to spend a whole lot of time with. After participants pick a ramen flavor of their choice, they have exactly one hour to finish the entire bowl. Sounds easy enough, right? Heck, I can inhale my favorite bowl of ramen in 10 minutes. But that's just one bowl. At Fat Bao, the bowl you are required to finish is made up of five times the broth, protein, noodles and egg—hence the $45 entry fee. 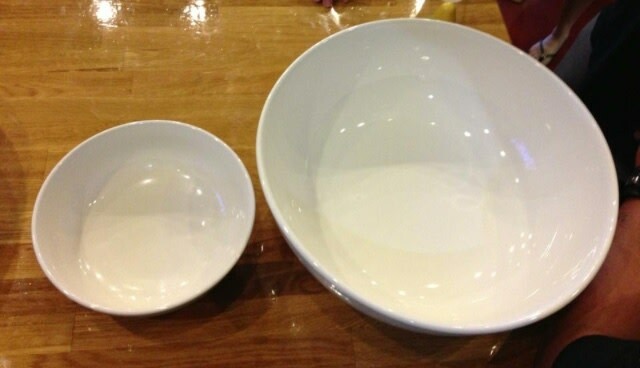 The sight of the Ramen Challenge bowl itself, at left, when compared to a regular bowl will blow your mind (it did mine). Rules are strictly enforced during each Ramen Challenge. The contestant must finish everything in the bowl, down to the last drop of soup, and be able to hold it all in for five minutes afterwards. There are no restroom breaks. No running around the restaurant. And most importantly, no cheating; you're looking at immediate disqualification for stuffing eggs in your pockets or broth in your purse. The team at Fat Bao puts $5 in the "Ramen Challenge pot" after each failed attempt—and there have been many. In fact, there's only been one winner so far out of 50-plus contenders, a man who also somehow managed to finish the entire thing in under 15 minutes. 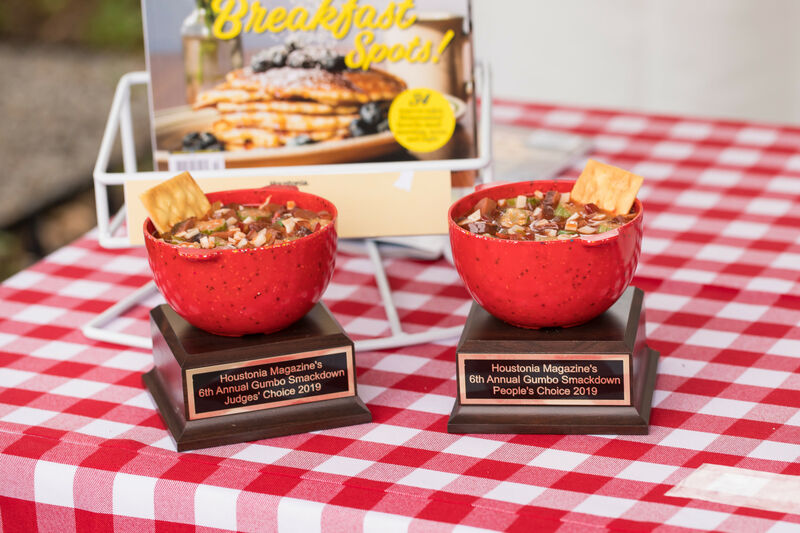 The next winner will receive the contents of the Ramen Challenge pot as well as a refund of their $45 entry fee, though the entertainment value—along with the humongous bowl of delicious ramen—is worth the cost of the $45 alone in my opinion. If you are up for the challenge, I highly recommend training your stomach first—and why not train at Fat Bao? 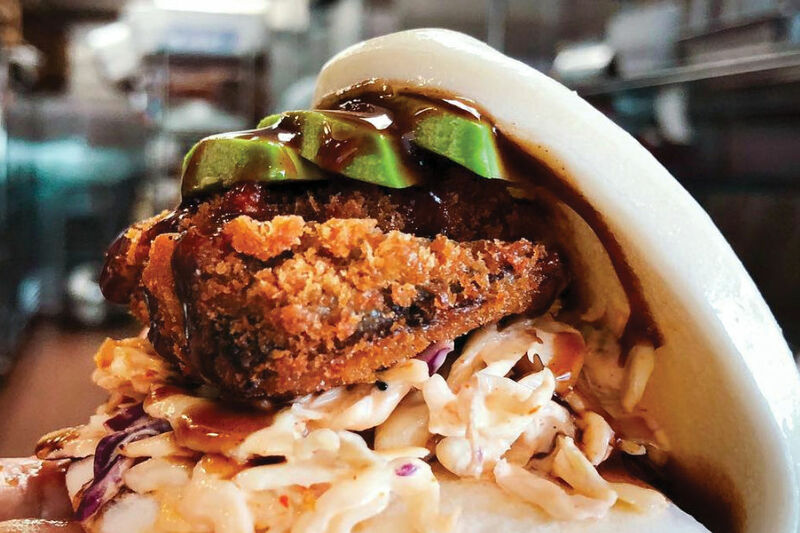 In addition to ramen and those delicious steamed buns, both locations of Fat Bao also serve Korean fried chicken, Korean "fat fries," salads and even dessert bao (try the PB&J or S'mores in a lightly fried bao!) And remember, unless you're the 15-minute man, slow and steady wins the race!